126 pages. No more than about 60 words on any given page. Pictures. And quotes, “If music be the food of love, play on,” by William Shakespeare. 3 stars. Not sure I’d recommend it unless you like nick-knacks (which I do not). I’ll probably put it in the donate pile. Taking an intentional inventory of what I have on my bookshelf in regards to marriage books… is a bit boring. And that little epiphany is rather profound. Because, really, reading about marriage isn’t comparable to actually living the marriage. In the beginning of our marriage, I read everything I could get my hands on about how to be the bestest, most loving, super supportive wife. Ever. I threw myself into this wife role with all the devotion and gusto I could muster. And you know what? About 20 months into it, I sat there sobbing, telling this man who I was so devoted to, that I was leaving him. I wanted out. Not really out of the marriage. Just out of the rut we were stuck in. And I didn’t know if he’d join me, so verbalizing it sounded like I wanted out of the marriage. But I know people who have fought or are fighting for their marriage. They don’t want out. They just want out of the stinky rut they’re in. And all these marriage books… I think they mean well, but the bottom line is that our marriage personalities are all unique and there’s not a one-size-fits-all manuscript for marriage. Which makes me realize that the way to make this project better is to give you my takeaway from the books I’ve read. 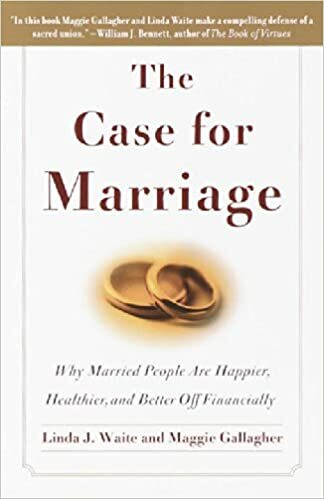 Book #17 is The Case for Marriage: Why Married People Are Happier, Healthier, and Better Off Financially by Linda J. Waite and Maggie Gallagher. The subtitle is bold. Yes? Saying vows on the wedding day seals the fate for happiness, health, and financial success? That seems so black and white. So, I perused the book this afternoon in hopes of gleaning enough from it to give it a fair rating. It’s appropriately titled in that the authors stick to making their case for marriage throughout the book. And it seems they do a great job of defending their position. I’m not sure what demographic would be interested in reading this book… perhaps those who are doing research or are investigating the soundness of marriage? There’s two pages in the back of the book in the Resources section that I’m going to copy for future reference. You all know that we’re uber passionate about marriage… but what if cohabitation and divorce are so rampant because we’ve settled for a piece of paper, a ceremony and the expectation that we’ll be happy, healthy, and “better off financially”? Of course health and wealth are useful, (that’s why I named this website 365 days to health and wealth), but perhaps those are shallow pursuits if kept only for the happiness of the beholder? Takeaway: The reason that married people are happier, healthier, and better off financially is because, unlike their counterparts who “can leave whenever they want with no strings attached” they are committed to the relationship. Because they have so much at stake, they work harder to be happy, stay healthy, and be a team. 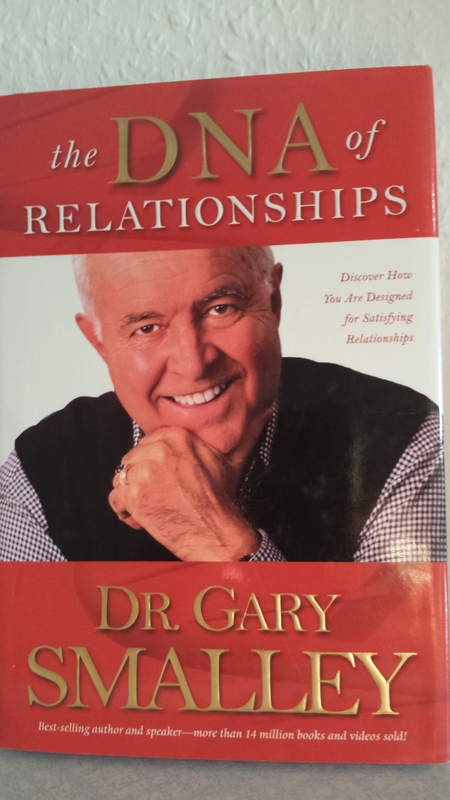 “…happier, healthier, and better off financially.” LeRoy brought it home from a work conference he attended. The print is small. Really small. I’m glad I took the time to peruse it but seeing as I don’t need to be convinced of the validity of marriage and I don’t see myself referencing it to make a case with anyone, it’s going on the donate pile. Here we are. Sit with me? Ugh. Can I tell you, I don’t like talking politics or religion? I really don’t. It’s because I love you and I care deeply for you and I’d like to keep the majors in the majors and the minors in the minors. And loving you? Well, that’s major for me. But remember when I promised back on Day 1 of this project that I wouldn’t skip over any books on my shelf, that I’d touch every single one and “give an account”… no matter how much it scares me? And who am I to judge another? And I look at my habits of gluttony and slothfulness and disbelief, and I’m daily grateful beyond belief that I don’t have a monitor on my forehead that reveals my thoughts. Because sometimes my thoughts are lustful or full of worst case scenarios or insincerity. Sometimes my motives are all wrong and at times I plummet into self-pity. This natural bent we have toward chasing after our own comforts and pleasures… And, God knows, we’re determined to figure it all out on our own and defend our list of rights. And all these longings and disappointments and the constant digging of our own cisterns… we weren’t made for this. And it really undoes me when I read that we’re made for paradise and perfection and an all-satisfying relationship with Jesus. And this is where we step into the tension because we’re living between heaven and this temporary sphere that wears us down, pulls incessantly at us, telling us that we’re not enough. We’re not enough. So we take all our preferences and self-protective tendencies and we gravitate toward that which satisfies temporarily in lieu of seeking Living Water. 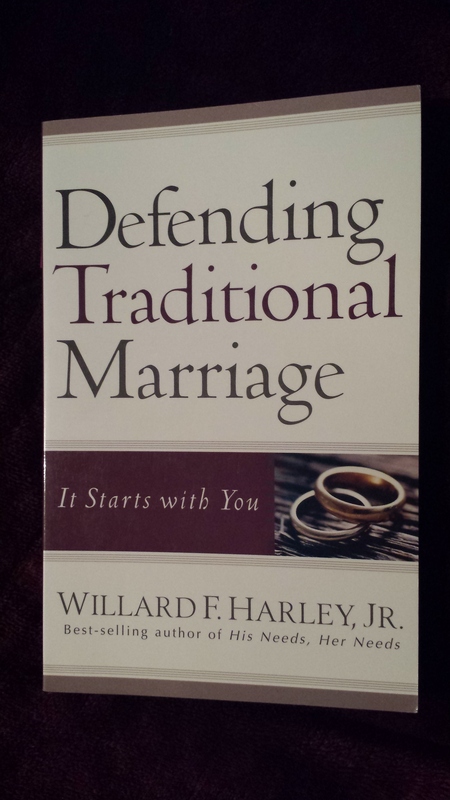 I haven’t read Defending Traditional Marriage: It Starts with You by Willard F. Harley, Jr., although I will. I want to be able to love deeply on both sides. To listen. I’m lumping these two little nightstand books together, Folks. 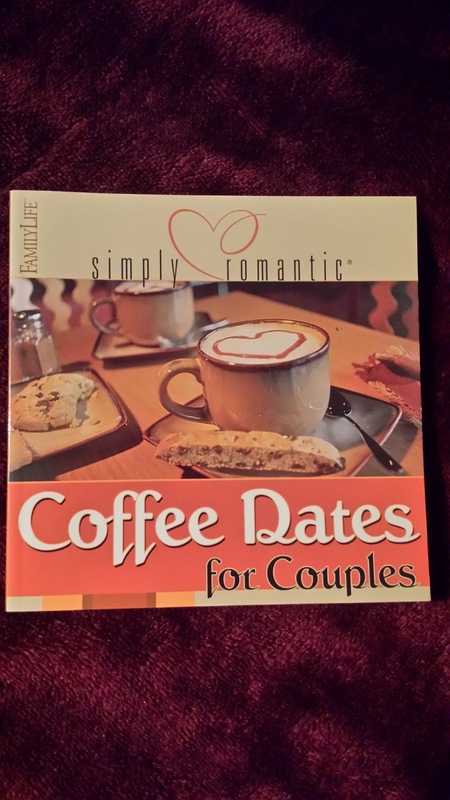 Number 15 in this project is Dates on a Dime and Coffee Dates for Couples published by FamilyLife. 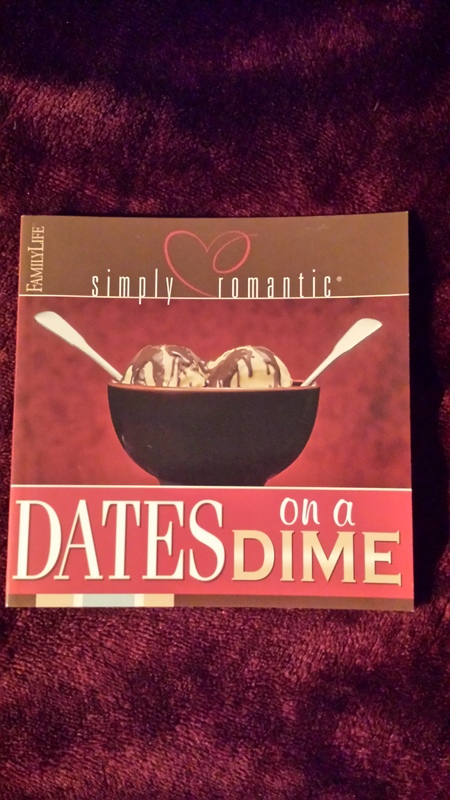 I bought them when LeRoy and I went to the Marriage and Family Life Conference at the Coeur d’Alene Hotel and Resort in Idaho. Sweet memories. In Coffee Dates, they ask great questions that get the two of you talking about more than how the day went at work and who’s running the carpool tomorrow. The questions prompt the two of you to dream together. Ah, yes please. I’m putting these where we can refer to them often. It’s time. 3 stars. Yes, I’d recommend them. 14. 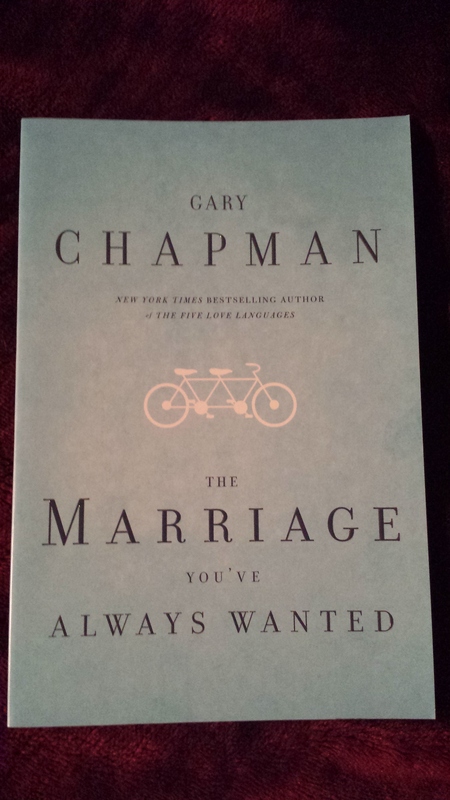 The Marriage You’ve Always Wanted by Gary Chapman brings back memories of the one-day seminar we attended here at Ramstein Air Base where we got to hear the author teach on the same topic as the title of his book. Underneath his autograph in the front of the book it says, 10-30-10. This month, five years ago. huh. Just like that. Do we have the marriage we’ve always wanted five years later? smile. I can confidently say we’re growing the marriage we’ve always wanted. It keeps getting better and better. I confess, I didn’t read the book because I attended the seminar… However, there are homework assignments at the end of each chapter. I think I’ll revisit those. 3 stars. And, yes, I would recommend this book. Down to earth. Easy to read. And it’s fairly short. 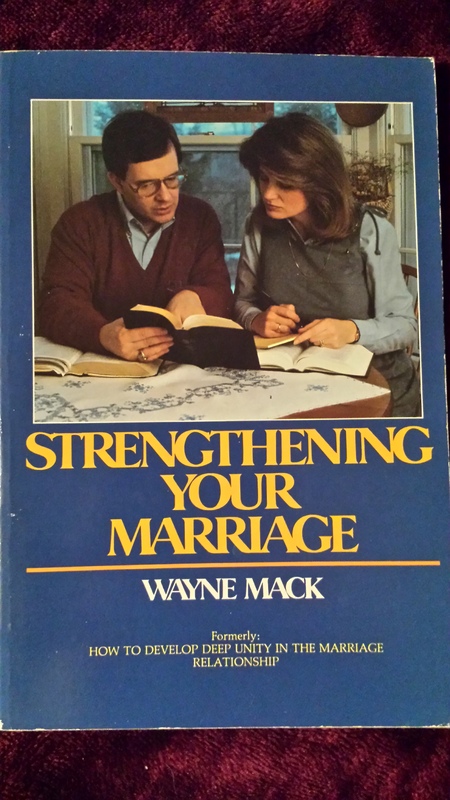 I’m not sure if I read Strengthening Your Marriage by Wayne Mack. I very well may have. 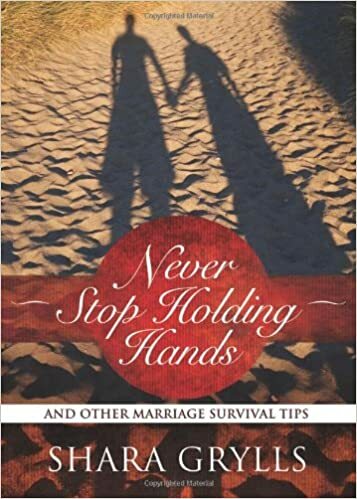 No, the advice offered in this book did not make our marriage stronger. Mack’s advice mixed with the dynamics of our marriage made for a near-lethal outcome for our marriage. I do not recommend this book if you have a natural bent toward legalism or if there are control issues in your marriage. 1 star. This will go in the dump donate pile. 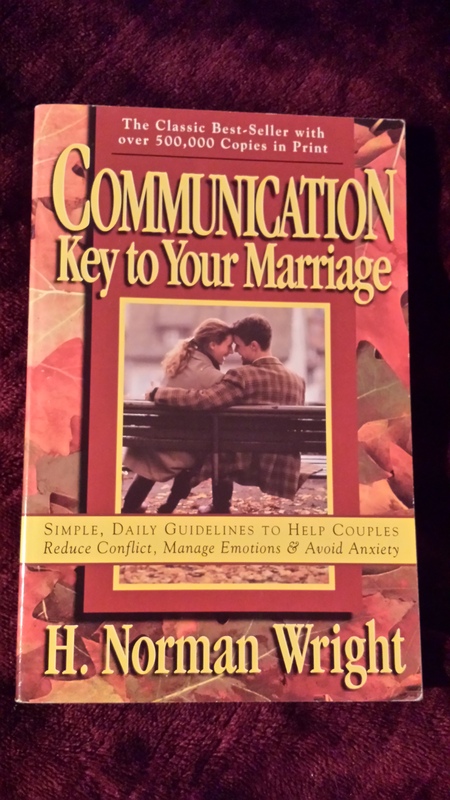 The 12th book in this project is Communication, Key to Your Marriage: Simple, Daily Guidelines to Help Couples Reduce Conflict, Manage Emotions & Avoid Anxiety by H. Norman Wright. I can see it created some great connection when we read it so long ago. And perhaps it would be helpful to revisit some of the guidelines… but the most interesting parts in this particular copy are the notes we wrote. I’m glad Wright wrote this in the style he did, with lots of questions to provoke dialogue. But do you notice the big idea here? You and your spouse are writing your own story. That’s something to pay attention to, think about, dream about, and live out! Your marriage story is completely unique to the two of you! 11. 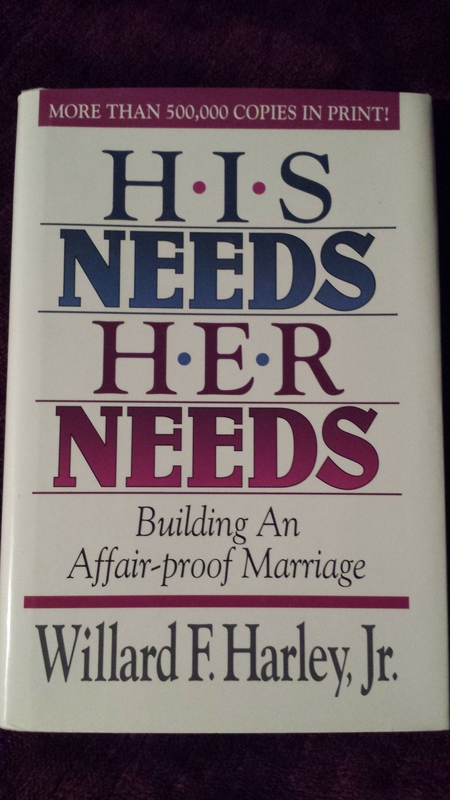 His Needs Her Needs: Building An Affair-proof Marriage by Willard F. Harley, Jr. I read this so many years ago, but perusing it just now was super fun. It’s filled with highlighted sections (that would be LeRoy) and sections underlined in pencil (that would be me) and notes to one another in the margins. I think I’m going to show it to LeRoy tonight when we go to bed… so much of what I wrote in the margins were thank you notes to LeRoy for being the amazing husband that he is. 3 stars. But I’m not sure I’d recommend it. While Harley gets a lot of things right, I notice that he makes a lot of gender stereotypes and presuppositions. Maybe I’m a little too free-spirited for his take on marriage and what he supposes women need and men need. 10. 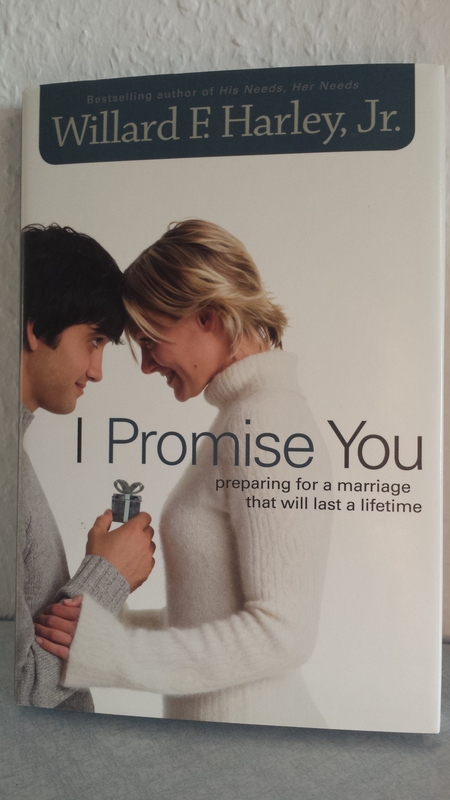 I Promise You: Preparing for a marriage that will last a lifetime by Willard F. Harley, Jr.
Hm. This is the fourth book out of ten that I haven’t read yet. Yikes. I’m so glad I’m doing this project, but I’m a little lean on the reviews since I haven’t read some of these books. No rating — I’m marking this one “To Read.” It looks like a fairly quick read… and perhaps it will offer insights that I can pass on to all these newlyweds and about-to-be-weds. You know how sometimes you know something from experience but you’re not quite sure how to articulate it in such a way so that the hearer is able to receive the message? And then you read something in a book and, voila! There it is. Perhaps?